I had so much fun with this interview! You all will LOVE Paul as a guest on this podcast! (OUR FIRST MALE SPEAKER!) We go over all things marketing, passive income, mindset around launching, and so much more! Sit back and enjoy this super fun episode! Paul Thomson has built an online business empowering six, seven, and even eight-figure business owners to create and sell online courses. Specifically, he’s helped entrepreneurs at all levels to share their expertise in the online space, scale their business, and make money while they’re at it. He is an Australian native currently living in Bali while traveling the world. Featured in Forbes, Thrive Global & Founder of The Online Course Creators Hub, Paul continues to pave the way as one of the leading industry experts in course development & marketing. -How to create the perfect course for your audience! -Launching your course for success! -Building up brand awareness for your business! -Getting your business ready for a big launch! -Mindset strategies to use during a launch! -Tell us about you and how you got to where you are today! -For someone who doesn’t have a course but wants to create passive income, where do they start? -What are your top launch strategies that people need to be doing? -For those who don’t have a big audience, how can they create an audience to sell their course to? -What kind of people do you work with? -When do you suggest people start an online course anyways? -What are some of your favorite mindset tricks you have used or helped your clients with? 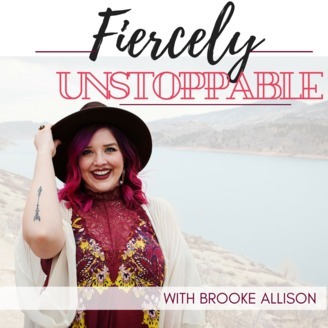 -Since this podcast is all about stepping into your fiercely unstoppable self, can you tell us about a time that you had to over come an obstacle that truly made you feel victorious? -What marketing tips do you have for people to grow? 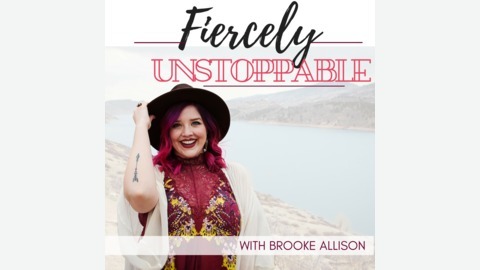 42: From Broke to Booked Out Badass!